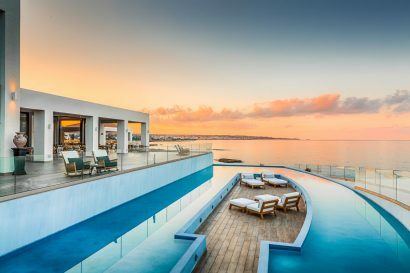 My name is Giannis Kornelakis and I am the General Manager of the Five-Star ABATON & Spa Resort in Crete, the new Jewel of Hersonissos Group Hotels. I was born on 11th of October 1969 in Heraklion Crete. I have more than 26 years of experience in the hospitality industry and have held General management positions for the past 13 years. After my studies and my work experience in Hotel Management in Germany, I entered the hotel industry for the first time in 1992. 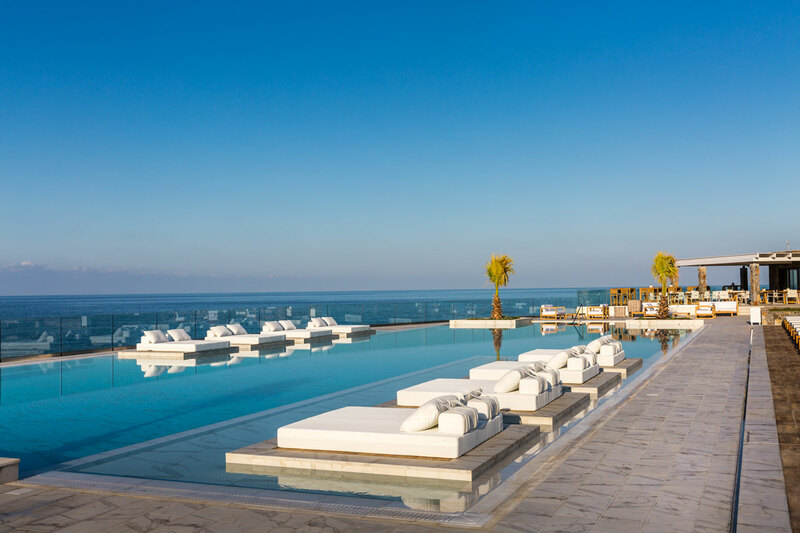 The acquaintance with the Management of Hersonissos Group in 2015 leads us to a new co-operation undertaking duties as General Manager in one of their hotels, Silva Beach Hotel, 4* All Inclusive in Hersonissos for three years. Besides the exciting daily Hotel operation, the birth of my twin girls in 2016 was rejuvenating and brought inspiration and great enthusiasm in my life. 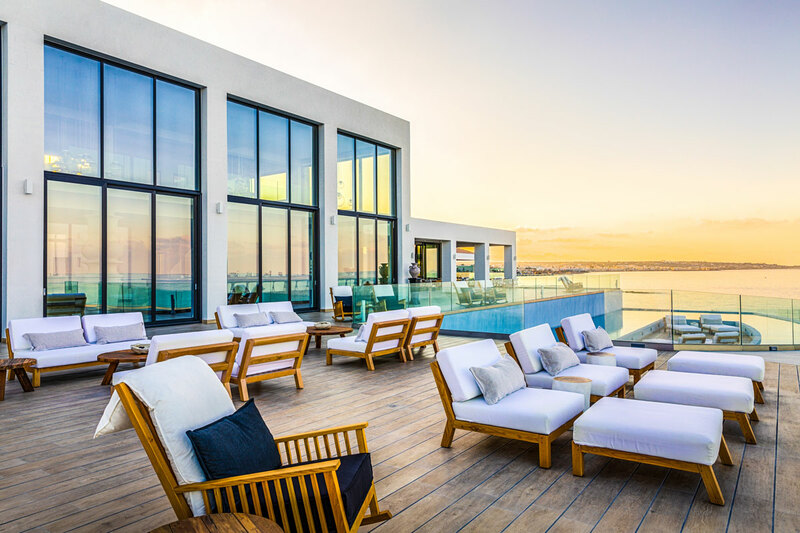 Our goal is to develop through luxury channels and mostly through networks that are not being managed from big hotel chains. We put a lot of attention to the PR side that will cause a lot of awareness for an independent product. 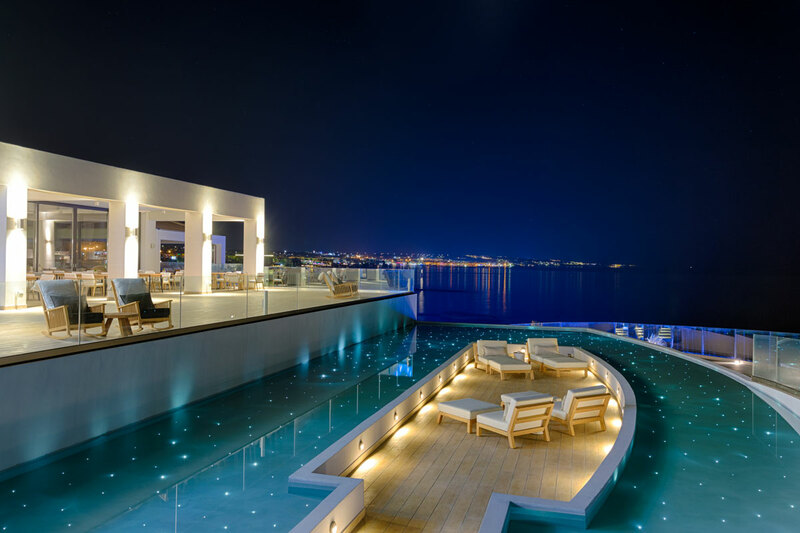 Hotel was developed by Konstantinos Kaloutsakis, an architect and an hotelier. It was designed from scratch according the land ‘s and region’s specification. 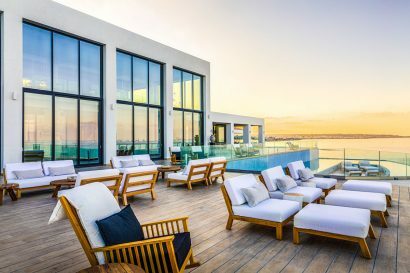 Abaton Islands Resort & Spa is a brand new property (opened doors on 20 April 2018) offering 152 luxury rooms, villas and suites in 14 different categories. 71 of our accommodations come with a pool (private or sharing) and 17 – with outdoor whirlpool which are very popular to couples. The hotel’s main strength is its position towards the sea. The hotel stretches on a shoreline of 464 meters offering incredible views and privacy to its guests. 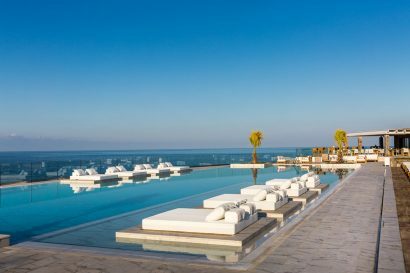 The closest areas are Hersonissos, a big resort area with vibrant life and several options, as well the areas of Stalis and Malia which are pretty known destinations for European tourists. Port of Hersonissos, Archeological site of Malia, Crete Aquarium, Lychnostatis Museum of Cretan Life, Plateu of Lassithi, Monastery of Kera, cave of Zeus, Heraklion City, Palace of Knossos, Archeological Museum of Heraklion, Venetian fortress of Heraklion. Children are welcome in the resort, even the resort is not family holiday oriented. Kids pool up to 4 years old. Baby cots, kids chairs & kids menu in the restaurants, kids bath amenities in the rooms are provided upon request. Babysitting upon request available on an extra charge. 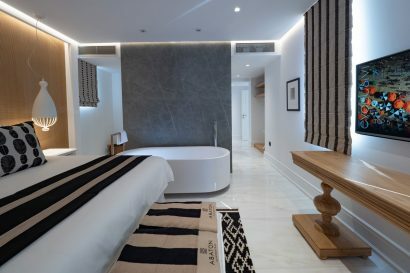 This 204 m², two-storey, 2-bedroom accommodation complete with a kitchen, living room and dining space, and a 420 m² garden area with a 40 m² heated private pool, outdoor Jacuzzi, as well as a furnished seating area, en-suite gym, steam bath and walk-in closet. 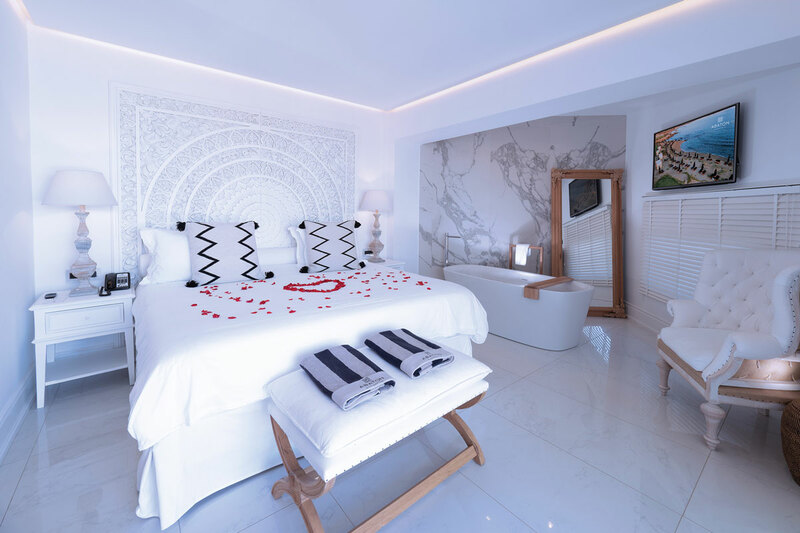 4 Dream Villas Beachfront with Private Pool: A two-storey, 1-bedroom villa featuring a 20 m² heated private pool and outdoor Jacuzzi on a 252 m² furnished patio. Romantic double space with a large bedroom and living room, plus an outdoor area of 210 m² with a private heated pool and an outdoor Jacuzzi overlooking the sea. Split-level units with a furnished patio (40 to 65 m²), private pool and a separate bedroom and living area. 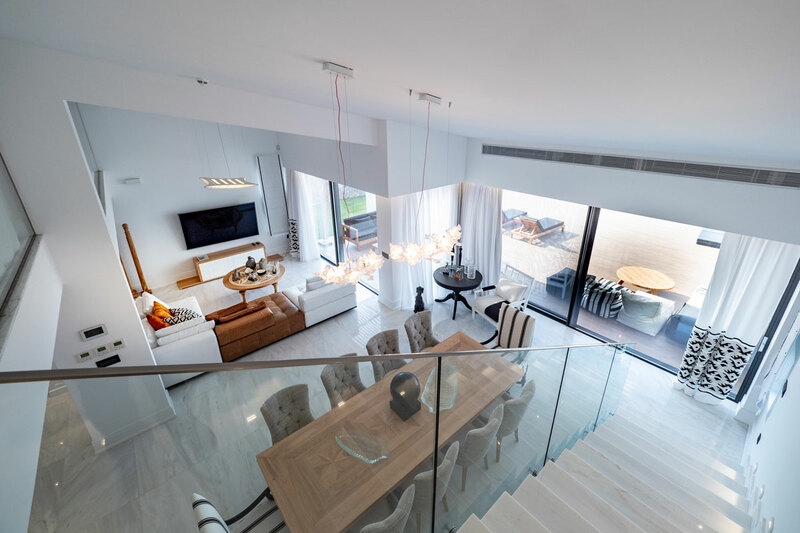 Dual level units featuring a separate bedroom and living area, an outdoor private Jacuzzi and sea view from upper floor. Swim-up, split-level suites featuring a ground floor living area, an upper floor with open-plan bedroom, access to a shared pool and sea view from the upper level. Split-level accommodation with separate bedroom, upper level living space, private pool, furnished patio and sea view from the upper floor. 25 LOFT DELUXE SEA VIEW GUESTROOM – Deluxe split-level accommodation, featuring a separate upper level living area, a roomy bedroom and a furnished balcony with sea views. 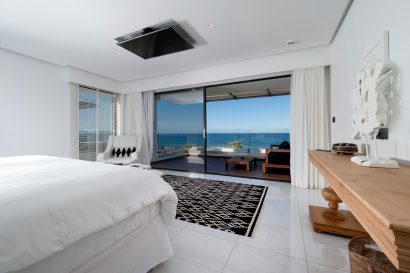 Spacious guestrooms featuring a 15 m² heated private pool on a furnished terrace or patio with panoramic sea view. 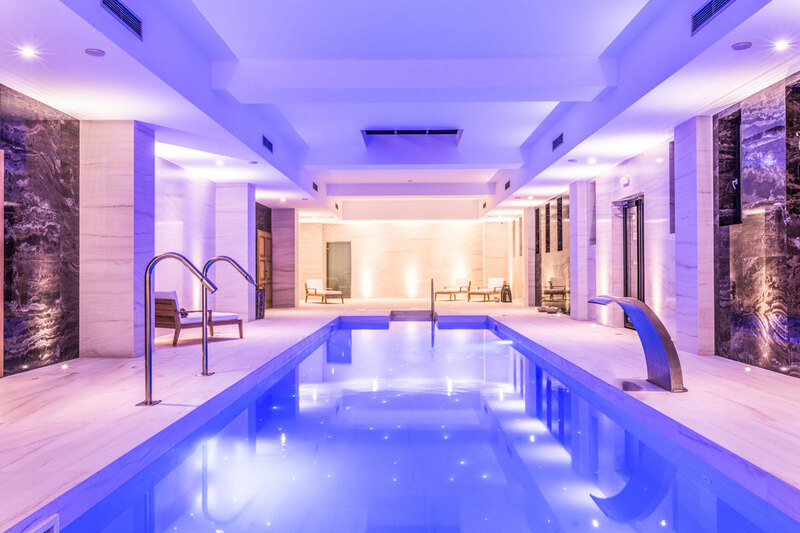 Swim-up units offering direct access to a shared pool. 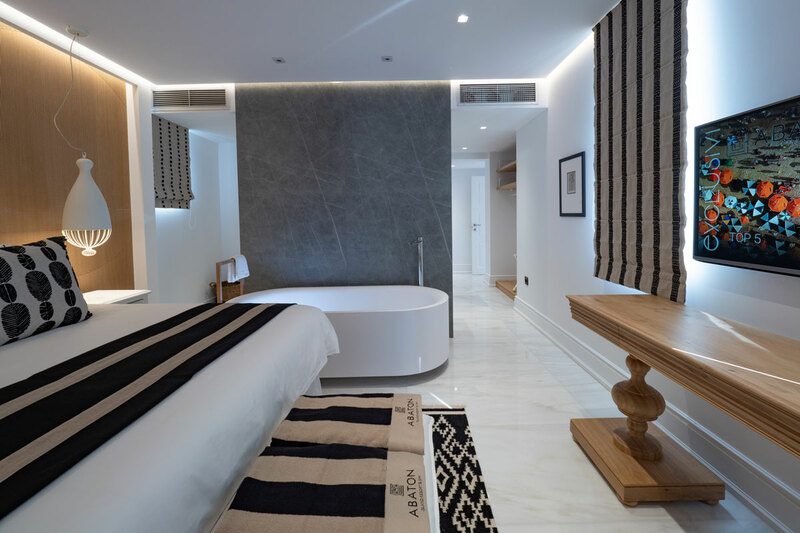 Guestrooms featuring a private outdoor Jacuzzi tub. 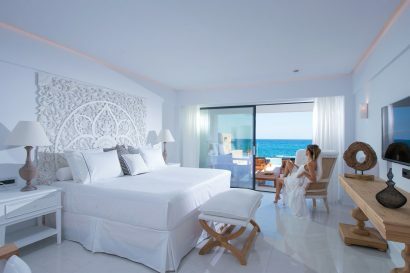 Contemporary and luxurious seafront guestrooms with furnished balconies. 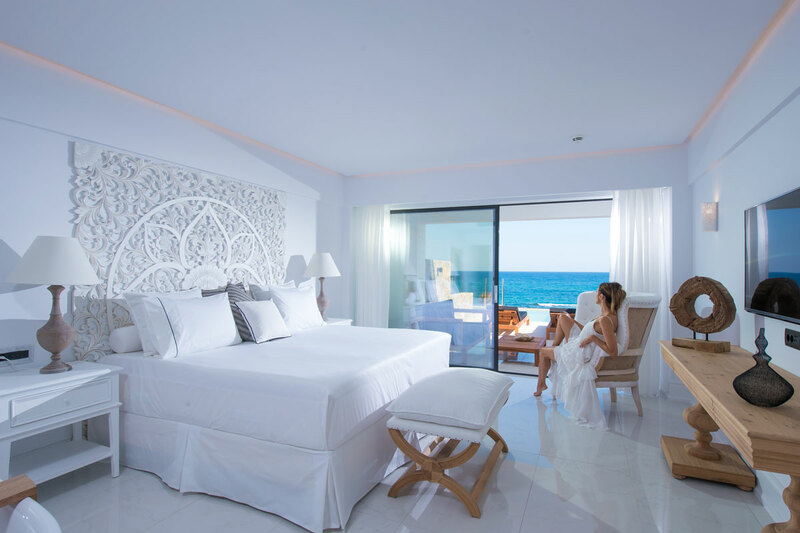 Deluxe guestrooms featuring furnished balconies and unobstructed views of the Cretan Sea. Our Boards are BB or HB. HB takes place at F-Zin Ivy League Restaurant. It can be exchanged with a food credit for any other a la carte outlet. Our executive chef is Zinonas Christofidis. International buffet restaurant for breakfast & dinner. Main courses are also served through an a la carte menu. 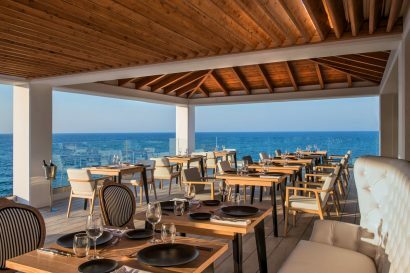 Authentic organic Cretan cuisine with a twist in the presentation. Serves breakfast a la carte and dinner. Our premium restaurant open for dinner serving a long list of steaks cooked into Josper ovens and a variety of different Sushi options. Our lobby bar offering breathtaking outdoor views, a walk-in wine cellar and a detailed cocktail list. • Abaton Spa powered by Elemis. 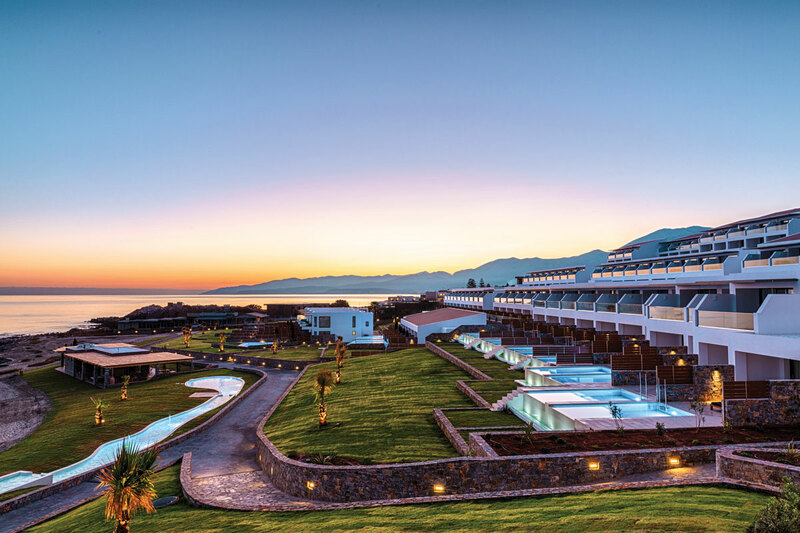 • 3 conference rooms with maximum capacity 300 persons and the first one in Greece high end curvy screen.